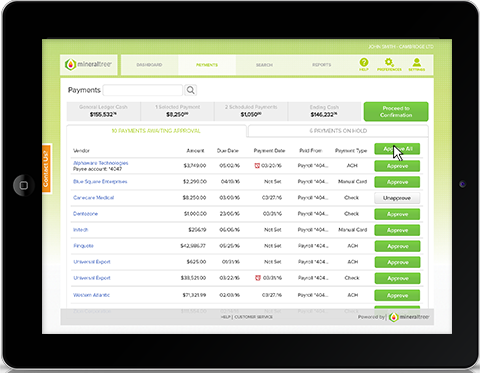 Proven to reduce the time spent managing accounts payable workflows by over 50% and the associated costs by 70%, MineralTree Invoice-to-Pay takes a manual, arduous process and applies automation technology to drastically improve efficiencies. 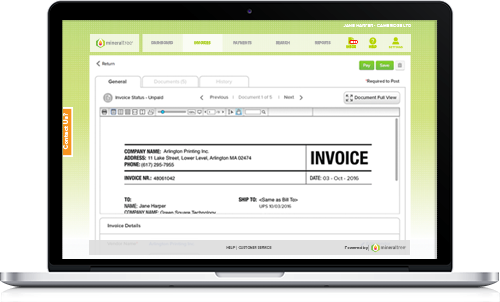 Invoices are automatically captured in MineralTree, coding per your pre-built configurations and auto-routed for approval. Real-time sync ensures the information captured flows back into your ERP. 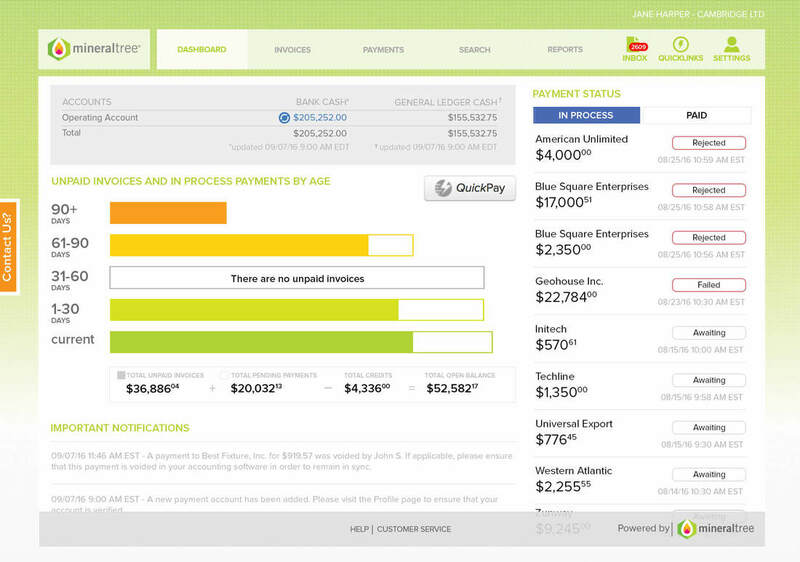 Predefined workflows auto-route your invoices for approvals. Approvers can approve, reject or comment on the invoice. Once approval is captured, payment approval is triggered. 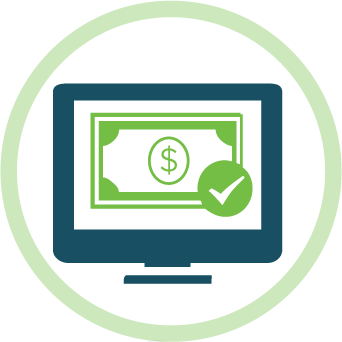 Your payment can be executed immediately or scheduled for a future date. The system will alert you of any early-pay discount opportunities. Pay via check, ACH, wire or credit card. 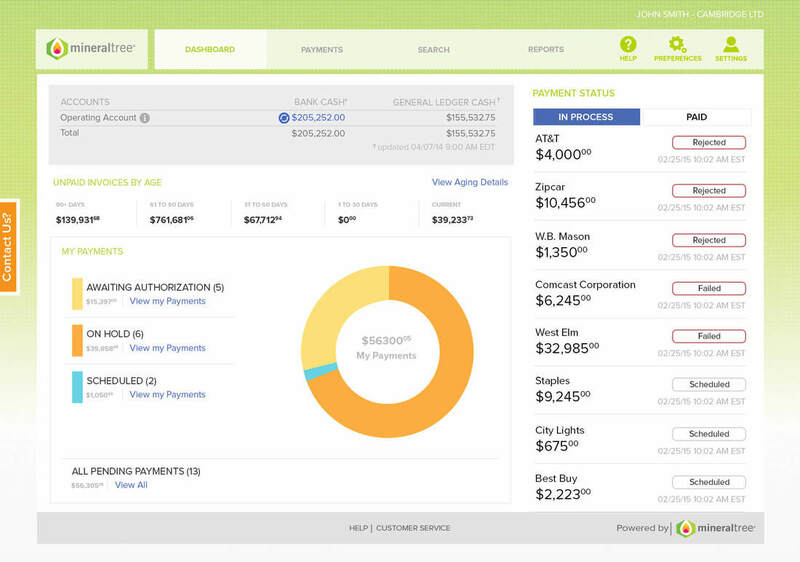 The invoice payment is synced back to your ERP to indicate it is closed and paid. Full audit trails are available. We are focused on enabling businesses to modernize their accounts payable workflow with our end-to-end automation solutions. 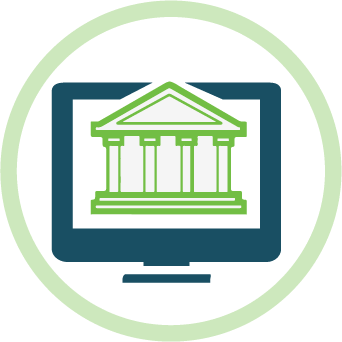 Responding to a once arduous process, we have helped hundreds of businesses reduce manual workloads, ensure security against fraud and gain access to preferred payment methods.